What do you get with you put two talented Fringe actors playing a handful of different characters in a pub with a roomful of hockey fans? Cheerful pandemonium. And that’s a wonderful thing. Hockey Night at the Puck & Pickle Pub is chock full of gags, banter and enough hockey references to keep any sports fan happy. Paterson and Gladstone are two talented Fringe Veterans who are clearly having a great time onstage – even when they drop character to indulge in a laugh or stop the show for an impromptu audience exchange, it was all part of the overall fun. A lot of the dialogue – especially the faster phrases – were lost with the sound amplification, however that did not detract from the overall enjoyment of the show. 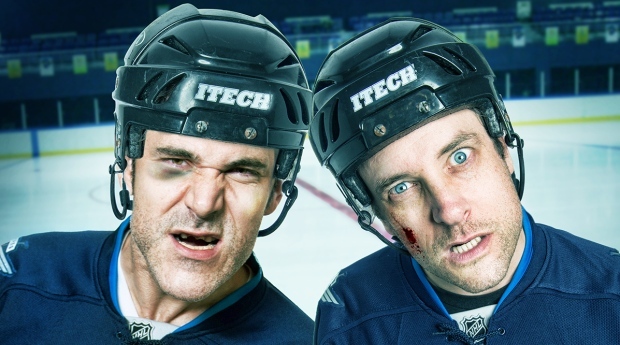 Silly, naughty, and irreverent, this hockey themed two-hander scores.